How to View Tagged Photos and Videos of Yourself on Facebook: Sometimes in your notification, you may notice that a friend of your tagged you in his or her picture or videos, what it literally means is that, your friend actually wants you to see his or her upload and also have a copy of the photo or video in your Facebook account photo album. 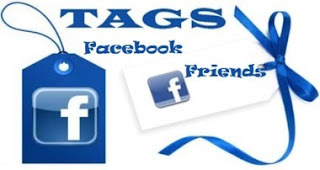 Tagging on Facebook may also means that individual people tagged appears on the photo or in the video, just to inform other friends that may not know them and wish to know them, the numbers of people that have tagged in a photo or video determines how many copies of the picture made and shared to different timelines. I hope this was helpful to view all your tagged photos and videos, kindly share this with all your contact so they also can learn how it is done.